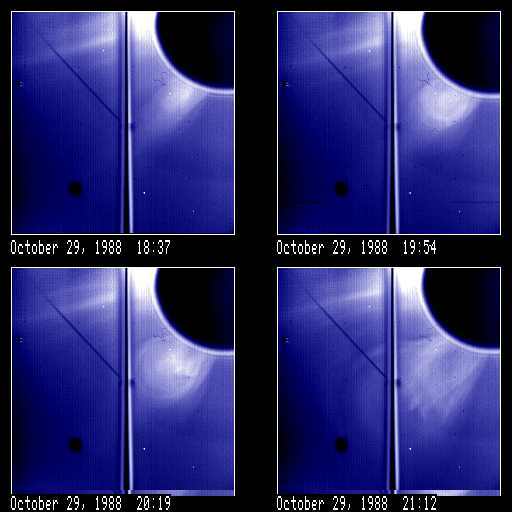 Four images of a coronal mass ejection seen over the east limb of the sun. Solar north points toward the upper left corner in each image. Bright (multiple?) loop/cavity and core superposed on tongue from previous event. Core contains embedded, twisted (prominence?) structures. Loop is 'light-bulb' shaped from 20:19 until ~21:45. Large deflections. Region and tongue are blown out.